Will Lionel Messi be celebrating after Barcelona's match with Deportivo La Coruna? "Should Barcelona avoid defeat in their remaining four league games, they will be the first team to go unbeaten in a La Liga season since Madrid did so in 1932." With Real Madrid facing a crucial Champions League tie on Tuesday night against Bayern Munich, the smart money is on Zinedine Zidane rotating his side against Leganes. Madrid triumphed 2-1 in the away leg in Germany, but having survived a scare in their home match against Juventus in the previous round, they will be taking nothing for granted. That should ensure starts for the likes of Marco Asensio, Gareth Bale and Karim Benzema, who were all on the bench for the victory against Bayern. Leganes come into this match having secured their top flight status with a home draw against Deportivo last weekend. It's been a successful second season in La Liga for Leganes, with Asier Garitano's side having already won five more points than they managed last term, while also reaching the semi-finals of the Copa del Rey. That cup run included a shock victory at the Bernabeu that saw Real eliminated, but overall Leganes have a poor away record and Madrid should claim a win, even with a second-string side. The [1.95] on offer for Real Madrid to win half-time/full-time is worth considering, as is Bale to score the first goal at [5.5]. Should Bale start, his odds look big for a player that has scored a useful eleven goals in 22 league appearances this season. Fourth placed Valencia will be looking to get back to winning ways and confirm their return to the Champions League at the weekend, after three matches without a victory. Valencia recently suffered back to back defeats against Barcelona and Getafe, followed by an away draw at Celta Vigo. The three matches took place within an eight day period, which saw Valencia's slim squad stretched. This has often been the case when Valencia have had to contend with a busy fixture list, but they go into this one having had a week's rest and with the previously suspended Dani Prejo and Jose Gaya returning, along with the injured Simone Zaza. They face a mid-table Eibar side that are sleepwalking towards the end of the season. The Basque minnows have only won one of their last eight matches (D2 L5). Yet despite Eibar's poor form, only one of their recent five defeats has seen them lose by more than one goal. With that in mind, the draw half-time/Valencia full-time double result is available at [4.6], with a Valencia win and under 2.5 goal double at [3.8]. Barcelona can secure the title on Sunday when they travel to Deportivo La Coruna. A draw would be enough to see Barca recapture the La Liga title from Real Madrid. There is even the possibility that they might win the league before kick off, were Real Madrid and Atletico to fail to win their earlier matches. Barcelona might still be reeling from their surprise Champions League elimination at the hands of Roma, but their domestic campaign could scarcely have gone better. 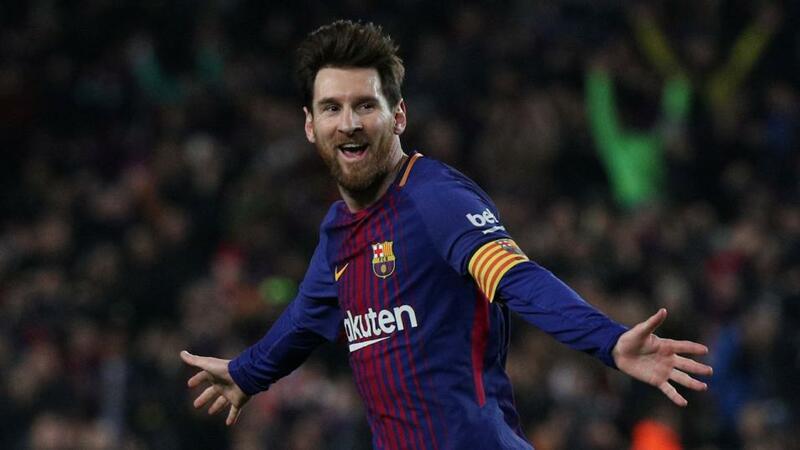 They won the Copa del Rey last weekend with a 5-0 thrashing of Sevilla and should they avoid defeat in their remaining four league games, they will be the first team to go unbeaten in a La Liga season since Madrid did so in 1932. Their opponents Deportivo La Coruna are making a late effort to stay up with a four match unbeaten run, but look likely to fall short, with some nine points separating Clarence Seedorf's team from safety. Back Barcelona to effectively relegate them with a half-time/full-time victory at [1.85].